The painting depicts the small village of Quillebeuf, in the Seine estuary, a place which held a particular fascination for Turner and which he visited during his trips to France in the 1820s. 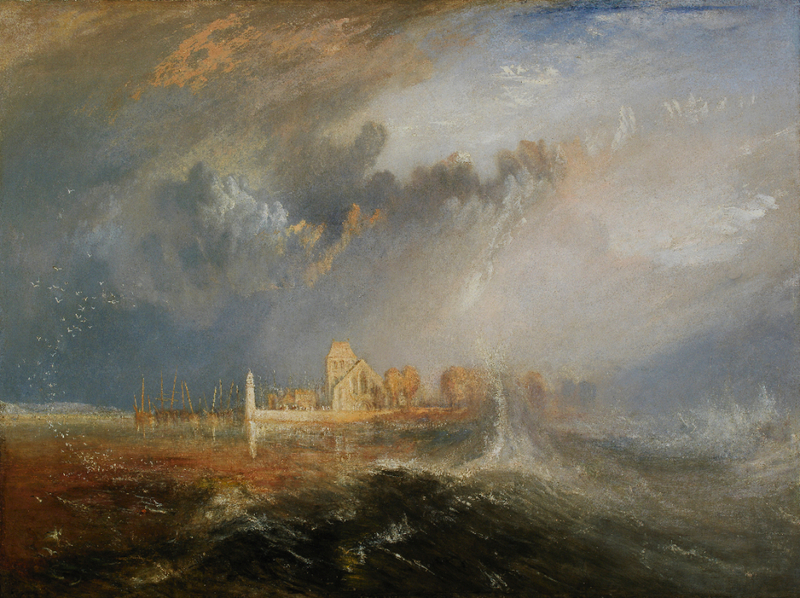 This work was shown for the first time at the Royal Academy in 1833, complete with a note in the exhibition catalogue warning of the dangers to navigation resulting from the rapid rise in tide levels and the sudden appearance of a huge wave, a phenomenon known as Mascaret or Barre by the local population. There is a particular combination of factors in this work that are determinant for understanding Turner’s working method, which incorporates naturalist observation, memory and a sensitive recreation of reality. Based on these principles, he expresses sensations in a surprising manner, using a flock of seagulls flying in a spiral in the sky as a crucial element in establishing the composition’s disciplined balance, which is developed through the ever increasing build up of circles. Although preserving a topographical appearance and incorporating an undeniable dramatic potential – besides the vigil tower sinking on the right, there is also the tragic trilogy of lighthouse, church and cemetery – Turner carries out an emotional exercise of light and colour, this painting revealing the trend towards the progressive elimination of forms, which become dissolved in its damp atmosphere. The artist thus transcends the image’s physical space, opting instead to transform it into a setting where impressions are heightened. Charles Birch of Harborne Collection, 1849; T. Harrocks Miller, 1889; Thomas Pitt Miller. Acquired by Calouste Gulbenkian through Knoedler, at Christie’s, in London, on 26th April 1946 (no. 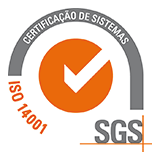 110). Martin Butlin and Evelyn Joll – The Paintings of J. M. W. Turner. New Haven, Connecticut: Yale University, 1984, vol. I, no. 353, p. 203. Ian Warrel – Turner et la Seine (exhibition catalogue). London: Tate Gallery, 1999, no. 122, p. 137, 139, 274. Turner at the Calouste Gulbenkian Collection. Sea and Light: Turner’s Watercolours from Tate Collection, (exhibition catalogue). Lisbon: Calouste Gulbenkian Museum, 2003, no. 38, p. 84-85. Luísa Sampaio – Painting in the Calouste Gulbenkian Collection. Milan: Skira; Lisbon: Calouste Gulbenkian Foundation, 2009, no. 70, pl., p. 162-63. Calouste Gulbenkian Museum. Lisbon: Calouste Gulbenkian Foundation, 2011, no. 156, il., p. 177.